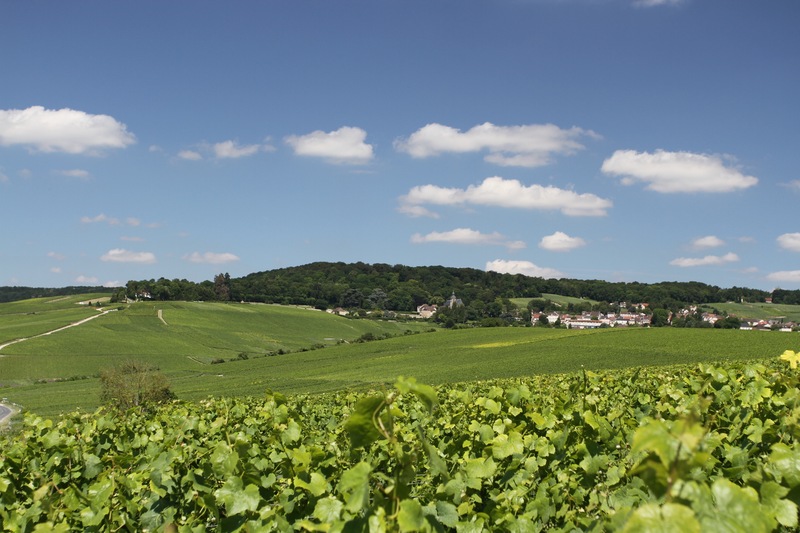 Seen from the beautiful hilltop village of Hautvillers, where Dom Pierre Pérignon is credited with inventing champagne in the 17th century, the lush green rolling hills of Champagne’s Marne Valley are a mesmerising sight. 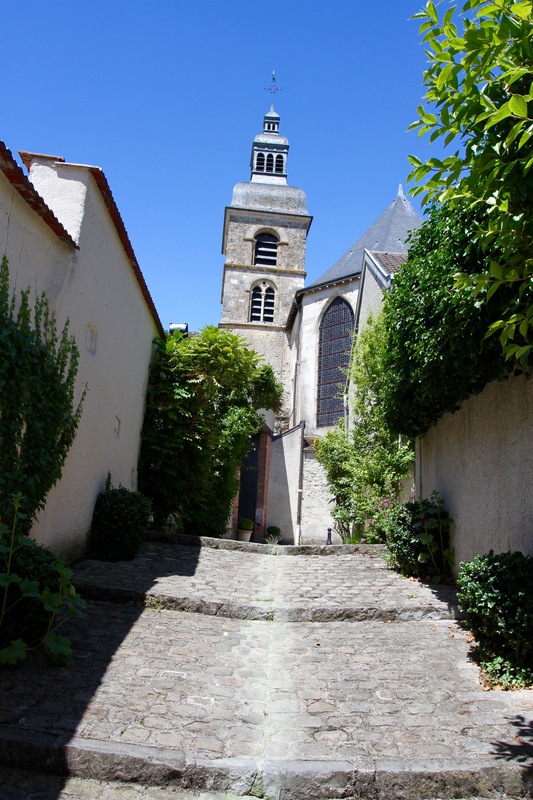 In a region famed for picturesque landscapes and idyllic villages, Hautvillers is a dramatic starting point for a journey through the Marne Valley. 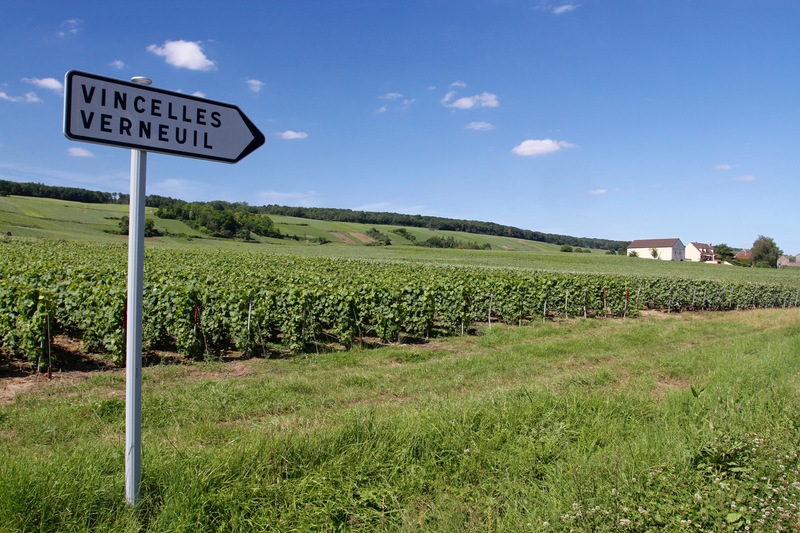 We’d arrived a little late to Hautvillers after a fascinating (and delicious) tour and tasting at Champagne Nicolas Feuillatte near the village of Chouilly. 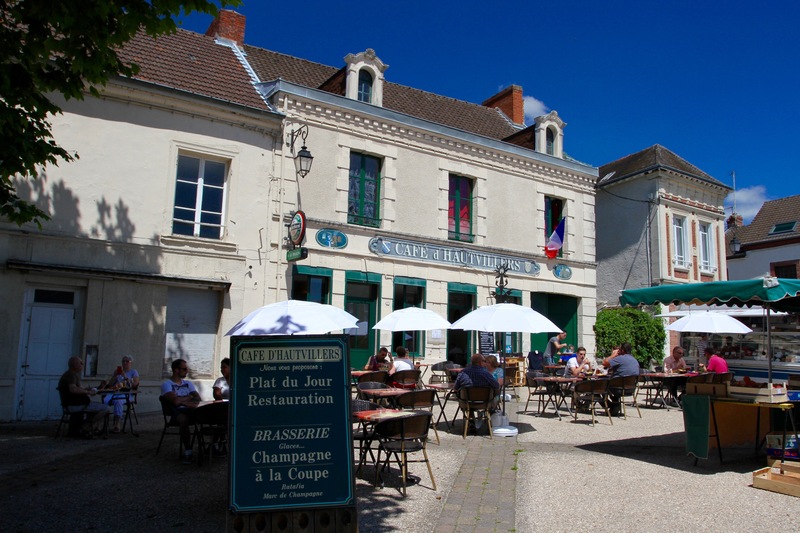 Fortunately, our arrival coincided with lunchtime so, after a stroll around the village and visit to the church where Dom Pérignon is buried, we snagged a table for a leisurely lunch in the shade of a tree in the main square. 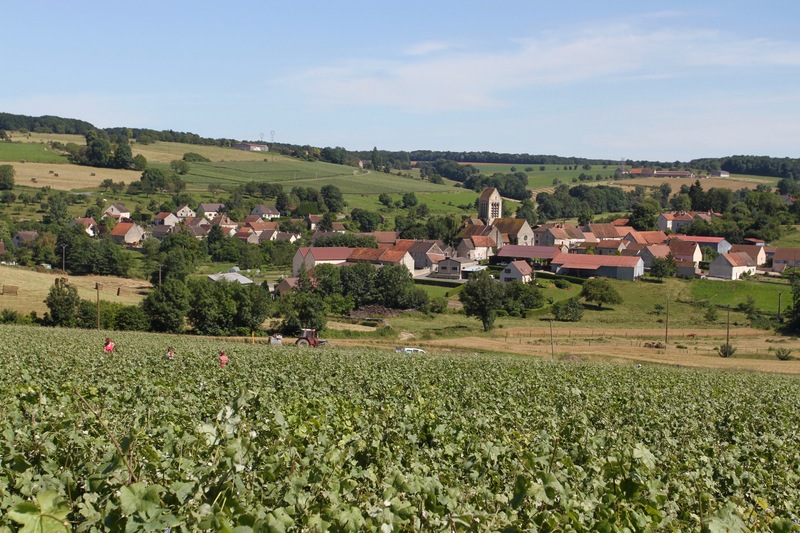 As you go from village to village, laid out before you is the very essence of the French notion of terroir: the landscape, soils, climate and traditions that makes a wine unique. 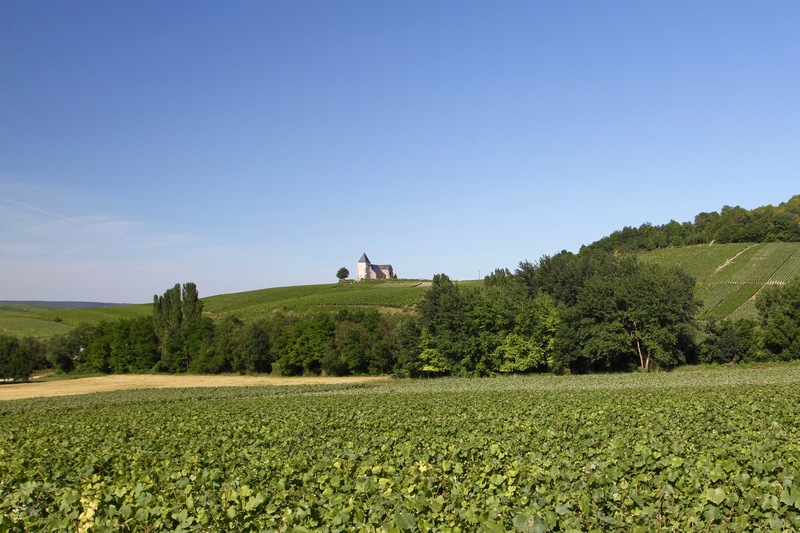 Terroir is very big in Champagne. 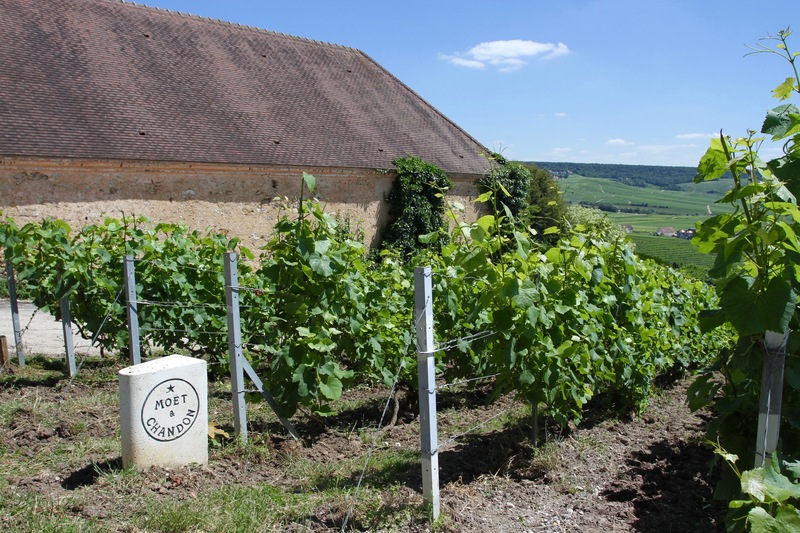 The notion of terroir is a difficult one to grasp for a wine layperson, but whenever people spoke of it they did so with the seriousness of someone talking about their own mortality. It’s that important. 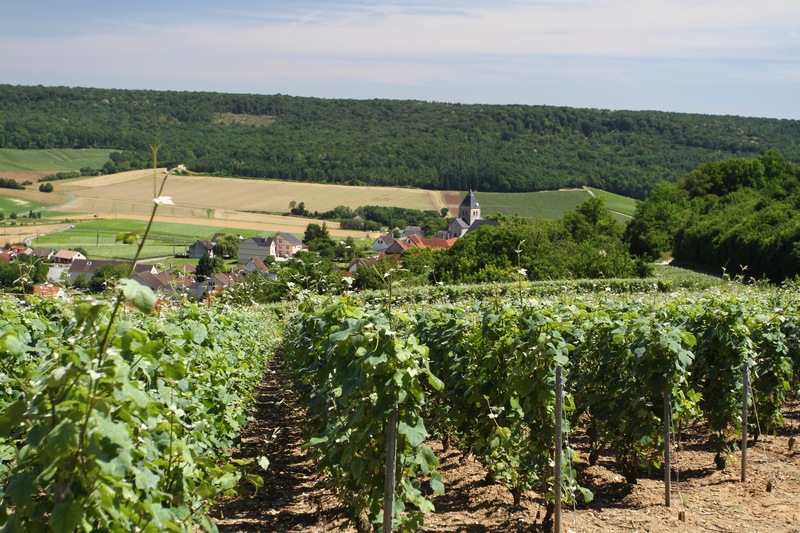 Covered in chardonnay, pinot noir and pinot meunier grape vines, part of the fun of travelling this fantastic route is the knowledge that sometime soon you’ll be sampling the fizzy wine that its terroir produces. 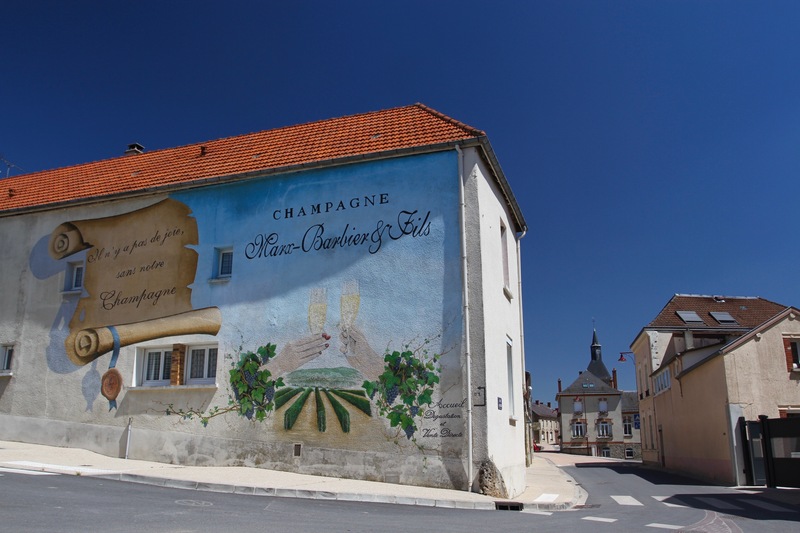 In each village we passed through there were dozens of small champagne houses, most producing only a small amount of champagne each year. Much of this wine never leaves France, unless in the back of a tourist’s car. 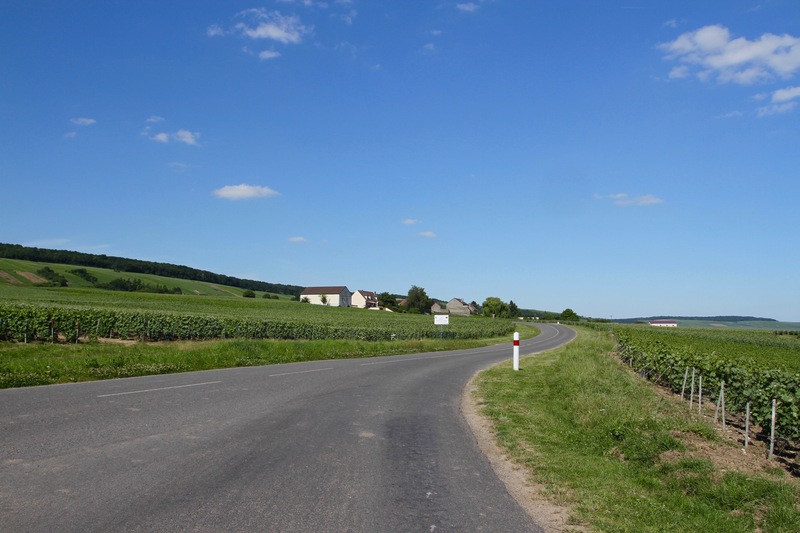 There is a well-defined route for travelling through the main grape growing areas of the Champagne region. In almost every village you’ll see road signs pointing you towards the next charming village, or spectacular view. The route is easy to follow but we got lost a few times. The whole area is so beautiful that it doesn’t seem to make much difference where you go. Come during the harvest in September (or possibly in October this year due to heavy rains and limited sun), and the fields of vines will be bustling with thousands of people picking the grapes. 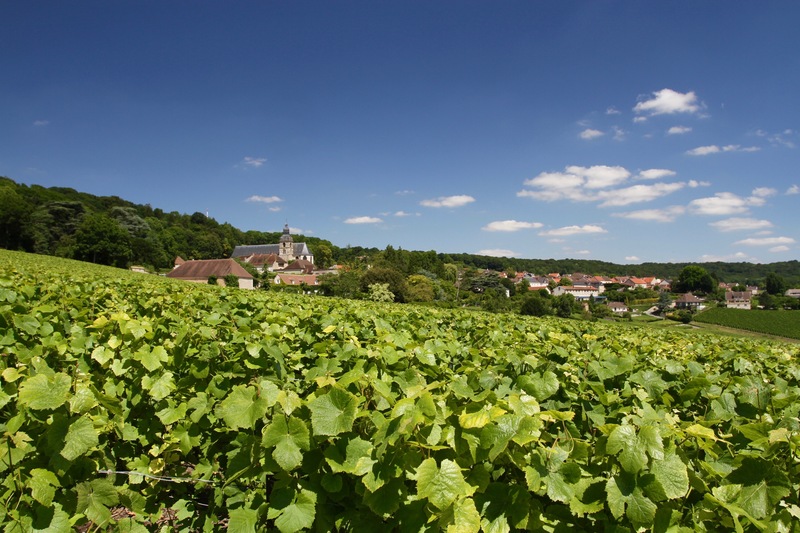 Harvesting is an activity still done by hand due to the complex rules for making champagne. Early summer isn’t a particularly busy time in the fields, but everywhere we went we saw people tending to their crops, making sure there were no problems. Admiring these bucolic landscapes, and wandering the narrow lanes of the Marne’s peaceful, near deserted villages, it’s hard to comprehend that this compact area of countryside underpins a vast global business. It’s also hard to imagine the conflicts that have engulfed this region. 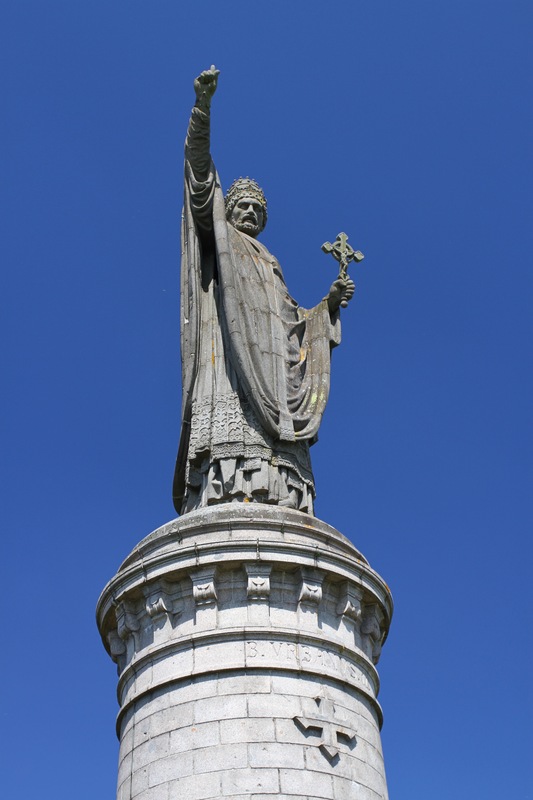 It was here, in 1914, that the French Sixth Army turned and counter attacked the hitherto all-conquering German Army in the First Battle of the Marne. Towns, like Châtillon-sur-Marne, which today lie on the Champagne Route, were on the front line of the conflict and were severely damaged. The First Battle of the Marne marked a turning point in the war. The German advance was stopped and reversed, but the French and British couldn’t exploit the opportunity to the full. The stalemate marked the beginning of trench warfare. There was a Second Battle of the Marne in 1918, a final attempt by Germany to win the war. It failed thanks to stiff resistance from French and American forces, and the Marne proved yet another turning point in the war. The German Army was forced into full retreat and three months later unconditionally surrendered. In village after village you’ll see memorials to those who died and, in some places, cemeteries marked with uniform rows of white crosses. Our route took us along the north bank of the River Marne, which meanders and sparkles its way across the valley floor, until we reached the town of Dormans. 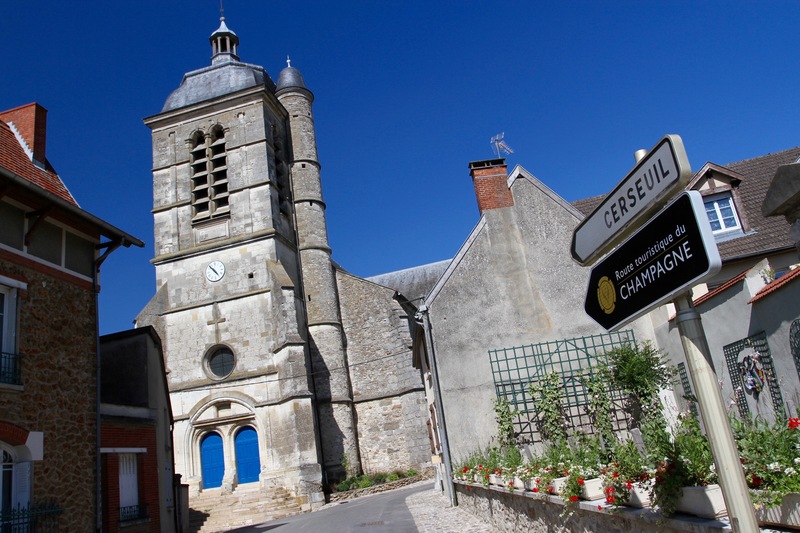 We crossed the river here and, weaving our way through picturesque villages travelled back to Epernay on the south bank. 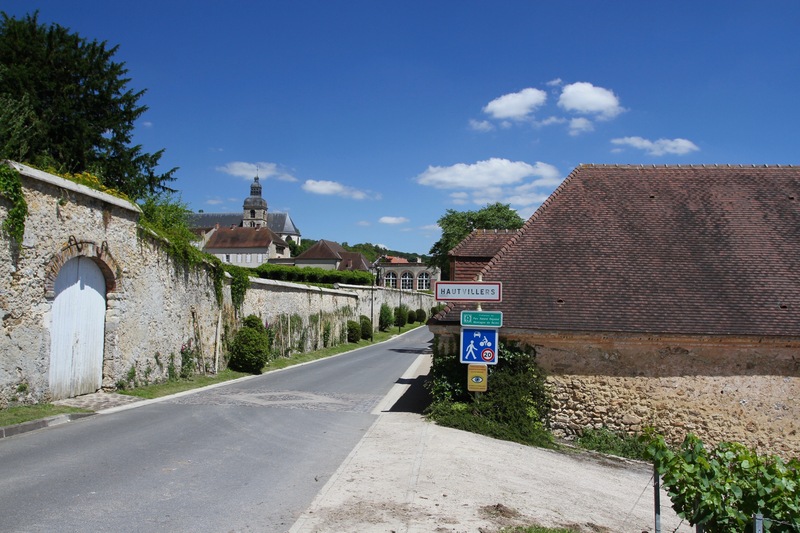 We took most of the day to drive the Marne Valley Champagne Route, but a determined champagne aficionado could take days, or weeks, to complete the circuit. 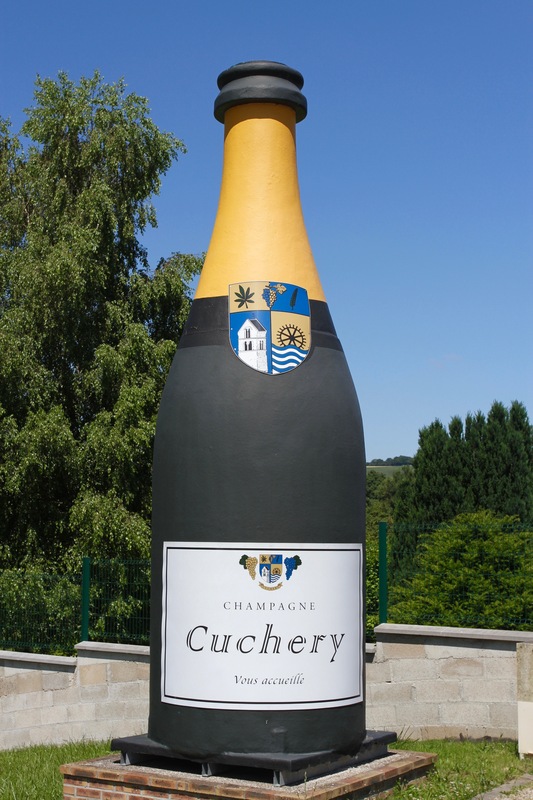 At least once back in Epernay, the designated driver could relax and have a glass of something bubbly.